Cities are growing rapidly in more places than ever before, but this growth is not always accompanied by prosperity. In this year’s “The New Urban Crisis,” influential urbanist Richard Florida examines the troubling development that in “the greatest urban migration in human history, urbanization has ceased to be a reliable engine of progress.” While cities produce an outsized share of global economic activity, that success has been accompanied by extreme competition that crowds out those without the resources to compete. Cities seemingly choke on their own success, becoming less accessible even as they become more populous and economically productive. This is an interesting turnaround for Florida. Fifteen years ago, he argued very successfully that to succeed, cities needed to figure out how to attract and cater to the “creative class” – hyper educated, mostly non-minority young people who fuel the service economy. Now, he notes that cities are leaving other residents behind. Unequal gains are the harbinger of a new urban crisis, Florida argues. But while he writes mainly about U.S. cities, his central insight into “winner-take-all urbanism” is perhaps even more applicable to cities in developing countries. How to deal with growing informal settlements, and the voids in city governance and services that surround them, is the central challenge for cities of the global south. The roots and remedies of inequality in the fast-growing cities in the global south are different in significant ways from large North American cities. In places like India, many new urban migrants settle into neighborhoods that receive little support from municipal governments and exist in a legal grey area. Most residents of these informal settlements, or slums as they are often called, have no legal right to the land they occupy. As a result, they can be removed with little notice or compensation, sometimes violently—a kind of gentrification on steroids. Such displacement disrupts neighborhoods, erodes trust in governance and exacerbates sprawl. Today’s rapidly growing cities are also expanding differently than those of the past, with many seeing population growth far outstripping economic growth, putting a strain on resources available per capita. Our research shows that many of the least-equipped cities are experiencing the biggest booms in population while falling behind on the provision of core urban services, like transportation and housing. 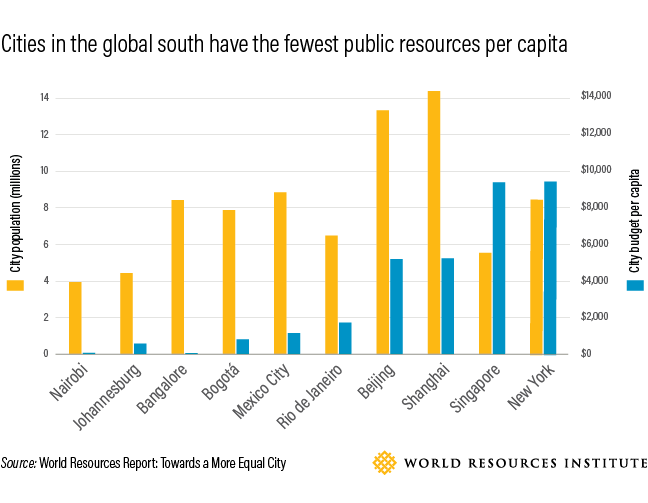 Places like Nairobi, Bangalore and Bogotá have far fewer resources available per capita than cities of the global north. 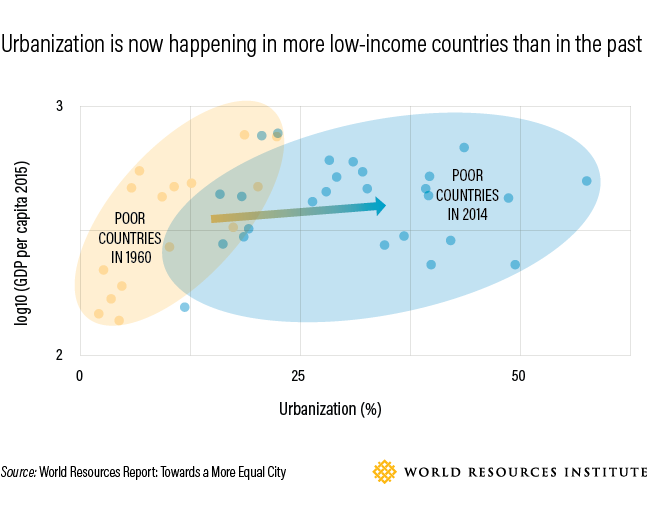 Sub-Saharan Africa and South Asia are seeing the highest rates of urbanization. Taken together, the UN projects they will account for 90 percent of the world’s urban growth by 2050. Florida notes that when cities in North America, Europe and Japan were growing fastest, they could bring the hinterlands along with them, as urban populations needed goods and services. This was a boon to manufacturing and industrial activities of all kinds, not to mention agriculture. Now, globalization has broken these links, leading to large populations of under- or unemployed living in peripheral areas far from services and commerce. In absolute numbers, there are more people living in urban poverty than a decade ago, and in some cities, even the share of residents below the poverty line is growing. 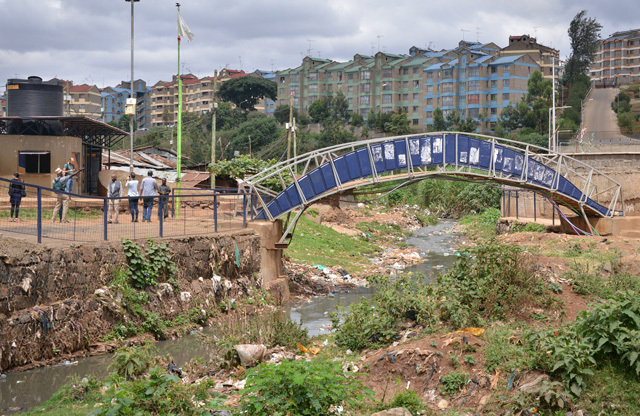 Only 54 percent of residents in African cities, for example, have access to adequate sanitation. The concept of “urbanism for all,” which arises in the last chapters of Florida’s book, echoes language that’s risen to the fore in global urban debates in recent years. By inviting investment “in people and places,” Florida’s thinking aligns with the hypothesis behind our own research: cities and their residents can only thrive when services are better for everyone. In the latest working paper in the World Resources Report, Robin King et al. write that low- and middle-income cities should focus on finding ways to “upgrade” existing slums, rather than leveling them, and involve residents in the process in order to capitalize on existing labor markets, social networks, and other positive elements of well-functioning neighborhoods. Florida’s solutions to the worst of contemporary urbanism’s ills range from similar encouragement of bottom-up development in slums to the appointment of city leaders to national representative bodies and adjusting international aid policies to focus on city-building instead of nation-building. Cities can get on the right track by avoiding the pitfalls of patchwork development that leave less-advantaged residents living far away from the urban core, transit options, and knowledge hubs, like universities, he writes. The challenges are daunting. But cities in the global south may have an advantage over their wealthier counterparts in at least one respect: much of them has yet to be built. More resources will be spent on urban infrastructure over the next century than in all human history. This gives leaders across Asia and Africa, where the majority of new construction will take place, a window of opportunity to reshape their cities through investments in infrastructure, public spaces, and communities that would make many American mayors green with envy. Our effort, through the World Resources Report, “Towards a More Equal City,” has been to assemble practical ways to assist policymakers and other stakeholders. There is no better time to implement solutions that help cities work better for everyone. Ani Dasgupta is the Global Director of WRI Ross Center for Sustainable Cities, WRI’s program that galvanizes action to help cities grow more sustainably and improve quality of life in developing countries around the world.